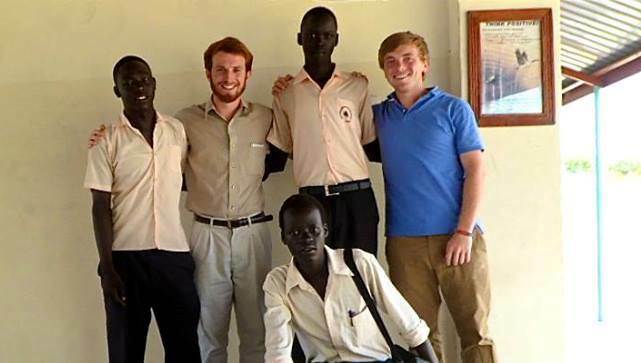 GUMBO, South Sudan -- In this final installment of the International Volunteer Series, I invite you to get to know Michael Gotta and Patrick Sabol, friends from the Franciscan University of Steubenville, now living together in Gumbo, South Sudan after feeling called to a year of mission work. Mike majored in Biology with a minor in Chemistry and would like to work as a science teacher after his year in South Sudan is finished. Pat received his degree in Finance with a minor in Management, and will live in Philadelphia where he plans to work in finance and investment analysis. Read on to hear what these two fun-loving, and jubilant men have to say about their time in Africa. What is a day in the life-like of a volunteer in South Sudan? ‪Mike: Our main duties have been as teachers and administrators in the secondary school here as well as teaching classes to the Salesian seminarians, but we basically are the community Swiss army knives, always doing something else on the side like making PowerPoints, taking photos, preparing the church for mass, events, etc. and being involved with the youth. Pat: A typical day here at Don Bosco Juba for a Salesian Lay Missioner begins at 6:30 am with morning prayer in the volunteer house chapel followed by morning Mass in the parish church of St. Vincent de Paul. After mass everyone in the Salesian community eats breakfast and then head to their respective places of work for the day. My specific job is working as an administrator at Don Bosco Senior Secondary School here in Gumbo. When I first arrived in South Sudan I was teaching English at the secondary school but due to a need for extra help in the administration office Mike and I were moved to working there full time. Generally we deal with discipline, paperwork, registering new students, and assisting and meeting with visitors to the school. People come to play football (soccer), basketball, volleyball, and take part in various activities at the parish including Catechism classes, practice for choir and altar serving, among other activities. At the end of Oratory we close with a Rosary and goodnight talk, in the tradition of St. John Bosco. Afterwards we head back to our rooms to wash up and then head to the chapel for evening prayer and then end the day's activities with dinner. How are you able to handle all of your responsibilities while keeping a healthy work and personal life balance? Mike: That's the million-dollar question! I’ll go weeks where I am worn down to the bone between the craziness of the school and just this place and struggle to find rest and peace on the weekend, basically hiding out in my room--which makes me feel like I am in a cage--and other times where the school is relatively calm and I am able to even find some peace during the week and enjoy spending time with the people here. I am introverted, so after a while it gets to me if I don’t find alone time… which is impossible as a volunteer on mission. But in the end, daily personal prayer roots me and keeps me sane and able to love through it all and I know I will be rewarded in heaven for persevering. Pat: It is very difficult considering we basically live at work. The only place to really find peace is in your bedroom but you are constantly on-call and may be called out any day of the week to do some work. We do not really have much of a personal life other than resting in our rooms when nothing is going on in the school and parish. Mike: My faith in Christ is really want prepared me. Honestly, if I was an agnostic or something I think I would have failed here a long time back. Human weaknesses that I was unaware of due to my comfortable first-world life style, which is funny to say because I would consider my family lower-middle class in the U.S. This has made it very hard for me – for example: when I can’t have something simple like variety of food or even just the peace and quiet of being alone – would have taken away my joy (and very nearly have) more than once this past year if it were not for my roots in Christ. Pat: Considering I did not study education when I first began teaching at Don Bosco it was definitely a huge challenge and took some getting used to. But through prayer and perseverance after some time it wasn't so difficult and became very rewarding and enjoyable. I do think that my studies helped with the administration side of things a bit though. I think what prepared me most for working in South Sudan that I learned in university was to trust in the Lord and stay strong in my faith. I never intended on using my degree here in Gumbo, I came because of my Catholic faith and desire to serve the church through this ministry. Has there been a defining moment in your life that made you decide to take the direction you did? Mike: It has really been a culmination of how I was raised, influence from my older sisters to do mission trips in college, and my overall drive to become a saint as people moved me to see how important faith is. Grace works in mysterious ways and I think that God’s given me an overabundance of it in my life and I felt a great urge to respond to it by heading to the mission field. Pat: I cannot say that there was one specific moment. It was a culmination of things. It began with my first foreign mission trip to Mexico when I was in high school. That was what first got me thinking about doing long-term mission work after college. Then, during my time at Franciscan I really grew in my faith and love for Christ, which only increased my desire to serve as a missionary. I went on another mission trip during spring break to Ecuador with students from Franciscan in the spring of that school year and a few weeks after I was starting the process with the Salesian Lay Missioners and the rest is history. What drew you to working in South Sudan? South Sudan’s Juba site was very new and there was the possibility of beginning new activities and ministries, which I thought could be really awesome. In the end, South Sudan was where I was placed, and it has been very difficult, but exactly what I needed. Pat: I felt called to being a missionary for a year, and loved the mission of the SLM program, but there was never a specific place in mind. Yet, I always had thoughts about possibly doing service in Africa so that was where I ended saying I would like to go if possible. When the opportunity of serving in South Sudan was presented to me I couldn't have been happier. What were your thoughts about South Sudan before you arrived and how have they changed or stayed the same? ‪‬Mike: Like I said, I thought it would be hard because I was told it was. That has not only stayed the same, but I think it can even be expounded upon: People here are stubborn beyond belief (and I hear Tonj is 10X worse), people expect you to help them and don’t show much gratitude, there is suffering left and right, and their politicians seem to care so little about the people who are suffering which means that the suffering here is mostly self-inflicted and thus makes it difficult to be sympathetic of. Also, it’s Africa – don’t we all expect to see a giraffe or wildebeest at some point? No dice. In fact, in terms of fauna I cannot say I have seen anything typically African-esque except huge storks that look like they eat small children and gross camel spiders. Pat: I really did not know what to expect. Growing up in the U.S. whenever you hear Sudan you immediately think war, refugees, rebels, etc. But those things did not worry me and we were ensured that the current situation was peaceful. I knew it would be a great opportunity to help in a country that after years of struggle had finally put the fighting behind them and were moving forward. It is definitely exciting times here in South Sudan and there are a lot of groups including religious and aid organizations working hard to develop this country and build a bright future for its people. Yet, even during this year South Sudan experienced another huge obstacle to this dream as a new political conflict emerged between the government and rebel forces led by former Vice President Riek Machar. But, once again the people here have really come together during this difficult time and things are once again looking up. It has been beautiful to experience the people come together to pray and work for peace in South Sudan. How have you adjusted to simple living? Mike: I forget sometimes what carpet feels like… but I long for it. I could honestly live simply for the rest of my life, and I am definitely going to live much more simply than I did formerly when I return home. But, some things you have had your whole life and you truly don’t realize that “absence makes the heart grow fonder” – seriously, carpet? And just having choices, especially with food. I don’t mind rice and beans basically every meal, but having the option to change it up is beautiful. I don’t really care that I am sitting in my sweat all the time and that it is always 90 + degrees here… I mean, I love colder weather (my ideal temp is more like 40-55 degrees, for real) but you adjust within a few months. Published: 23 July 2014 (Page 3 of 6) ‪‪‪‬ In the end, if I could just return to my family every 6-months or so I think I could do mission forever… but I know I am not called to that. Pat: I have definitely adjusted to the simple living. It was one of the things I really desired coming into this experience. At times it can be hard and I definitely miss some of the comforts of home but life here has helped me to grow as a person and rely less on worldly possessions. What are the hardest parts about living there? Mike: The lack of change. We go months without leaving the compound sometimes. Maybe it is somewhat our fault – but because we are white in what some consider the country with the darkest people in the world, we stick out like sore thumbs, so going into the village or moving anywhere gets not just looks but endless calling of “Aboona!” (Father) and “Kahwyja!” (White person/foreigner) as we pass and then the community eventually hear that we were moving about. So like I said, we feel a bit trapped and almost prisoners to our site which is 100% the hardest thing about it here. Pat: The hardest part for me is probably the monotony of life here at times. We may stay in the compound for weeks at time without really going anywhere or doing anything outside of the normal daily schedule. Living in the compound makes it hard to find peace as well. There are always activities taking place and so it's hard to leave your room and not get pulled into doing some work. ‪Mike: December 15th, 2013 was the scariest, least safe I had ever felt in my life. For about two weeks following that I also felt very unsafe. Since then, I feel for the safety of many of the citizens of South Sudan, but I feel completely safe. Pat: I have not felt unsafe here in Gumbo besides during the end of December when there was fighting in Juba and the surrounding areas. At that time there was a lot of uncertainty and it seemed that the situation was only going to get worse. However the fighting quickly moved north to the oil feeds and Juba once again became quiet for the most part. Since that time I have never felt that I was ever in any danger. ‪What is the most rewarding part about living there? Mike: The cultural diversity and the ability to participate in the lives of people really living a day-to-day life of struggle. In just the school alone we have South Sudanese, Ugandans, Kenyans, a Malawian, an Indian, and Americans. In the community we have Indians, Kenyans, Americans, Spanish, a Vietnamese, a Malawian, South Sudanese, a Burmese, Koreans, Canadians, a Brazilian, and Ugandans. We definitely have different ideas and different ways of representing those ideas, but it is beautiful to work with these differences and see how things get done (although often slower and probably with more disagreements) here. The people here are really struggling to pay school fees, have money for food each day, etc. yet they still press on and often seem much happier than those I know with the most lavish comforts in the U.S. ‪ Pat: The most rewarding part for me comes from spending time with the youth in the parish community. I really value the time spent with the people just talking, playing, and praying with them. It brings me a lot of joy and fulfillment. ‪‬‬Mike: Probably Christmas day when after mass I spent time with some of the students who lived near the parish in their home, just talking and enjoying some homemade baked goods, and then later being invited to spend time with the coach of the Don Bosco Football team, and see his home and meet his family, along with him driving me around on his motorbike to see the area of Gumbo, which I would not have seen any other way. It was just such a real day, and only a little over a week after South Sudan had that horrible experience with the coup attempt. It was the first time I felt at home. Pat: On Easter Monday the Salesian community including the priests, sisters, brothers, seminarians, and lay staff and volunteers had a picnic on the Nile River. It was a great day and Mike and I got to take a swim in the Nile which was a great memory. Not many people back home can say they have done that! What is the most heartwarming experience you’ve had and what is the most heartbreaking? Mike: This is pretty simple, but it hit me hard: a student named Camilo, a new student at our school this year, was at evening games in the community sitting by the volleyball court. I saw him and several of our students there watching and playing volleyball so I walked over to greet them and talk with them. Camilo and I began to talk and somehow we got on the topic of me leaving. He told me that he would want to leave the school if I left because I made the days enjoyable. I was blown away. A simple, yet entirely genuine comment from him that hit me in the face and made me almost uncomfortable to know. It was actually a mix of both heartwarming and heartbreaking because it made me realize what I was going to be leaving. Most heartbreaking… again, so many that it is difficult to pick one. I will speak of the losses of both our first principal and then one of our students. Fr. Patrick Soreng was such a kind, loving person and we only were able to work with him for a mere two weeks before he passed. Then, maybe a month or so later, one of our oldest students, Elijah, a 30-some-year-old veteran who always used a cane due to injuries sustained in the line of duty, died suddenly one day. He was such a hard worker, always coming to school ahead of time to study, and so humble as a student for someone of such life experience. Both deaths were unexpected and so close together; they rocked the community, really opening up my eyes to how short life can be – we think we are in control of it until we see life flash before our very eyes in those we are close to. Pat: The most heartwarming experience for me so far has been witnessing the large amounts of children and teens the regularly attend Mass and Adoration in the parish church. It is something you don't see much in America. You will walk into Adoration on Friday evening and 90% of the people there are under 20 years old. The youth here have so much faith and love for Christ and it is beautiful to see and to pray with them. The most heartbreaking experience for me has been seeing firsthand what the selfishness of political leaders and hatred between tribes in South Sudan has done to thousands of innocent people here. We have a refugee camp here in Gumbo which is run by the Salesians with the help of various aid organizations and Mike and I were here when most of these refugees arrived here after fleeing their homes and losing their loved ones. What do you think you will remember the most? Mike: The hardship. Death. Life. My love for my students. The stubbornness of South Sudanese (especially Dinka and Nuer). Living with a religious community. The richness of and struggles of diversity. Pat: I think I will remember the people the most. My students at the secondary school, the people of the parish community, and of course all of those in the Salesian community here. They have really become family to me in a lot of ways, especially the fellow lay volunteers. What lessons will you take with you? Mike: Patience. Love is always primary. Know what you need and don’t be afraid to ask for it/make time for it, regardless of how others might perceive you for it. Being rooted in something (for me my faith) can help you overcome any obstacle if you really do believe in it. Pat: I have learned so much during my time serving here in South Sudan, but I think most of all I have learned to put complete trust in God. I could have never made it through life here without Him and I will take this with me forever. Can you tell me about one person who has impacted you? ‪‬‬Mike: This girl Monica. She’s probably 9 or 10, and she always comes to oratory and Rosary, and even now that she has received her baptism and first communion she has started attending daily Mass. She is so friendly and always helping her little sister, Theresa, and although she doesn’t know much English she always greets me with a smile and will say she is good. I don’t know, but it is just these kids who show such maturity in a place full of parentless children who barely eat, have hardly anything to wear, and just nothing to their name but still have that natural goodness and responsibility that most 25-year-old Americans who have been given everything since they were born and have nothing to complain about are lacking. Pat: A few weeks ago I met a young boy names James who recently relocated to Gumbo with his family. He is one of those people who upon minutes of just meeting you know they are just such a genuine loving person. James is probably about 14-years-old while I am 23, but I strive to be like him every day. He just knows how to love and is so strong in his faith at such a young age. I will always remember him and feel so blessed to have been able to meet him and spend time with him. He is a saint in the making for sure. Do you find that women are treated differently than men at your site? ‪‬‬Mike: Locals are definitely treated differently by locals. South Sudanese women are valuable to their families in that they prepare food, clean the home, and will one day get their fathers money or cows from a dowry when they get married. This isn’t every man here, but 95% of them. They seem equal in school, but they definitely are not. Oddly, women here don’t complain about it. It’s like they are so ingrained to think that this is how life is that I honestly never have heard one complaint about it. Maybe some of the women in politics are advocating for better rights, but the general public, possibly just due to lack of education, do not seem too worried about anything changing. Pat: Culturally South Sudan is very different from what I was used to in the U.S. Women are still considered second-class citizens for the most part here. They are expected to get married when they are very young and raise families. It has been sad to see young women at the school leave due to these pressures and be treated poorly due to these mentalities. What are the most critical problems faced by people in your area? Mike: Daily struggle for money – most don’t really have jobs and there is not enough land to cultivate, so how do they get money? Then the kids who are working age, who in the U.S. could possibly help support their families, are trying to get an education so then again they cannot work. It is just a bad economic country. They need to either become intense farmers in this country or have programs geared specifically to forming a job market in cities and even rural towns and villages. Pat: Due to the recent conflict, disease and famine have become huge issues. South Sudan faces one of the largest famines seen in recent history. Due to the fighting between government and rebel troops causing so many to flee their homes no one was around to plant crops before the rainy season began. So now the nation is racing to plant crops and they are running out of time. There has also recently been a cholera outbreak in Juba. The war has brought more problems than just the death of thousands from the fighting. More people face death due to post war problems. I read recently about a Christian woman in Sudan who was publicly beaten for denouncing her Muslim faith and marrying a Christian man. How often do you hear about these kinds of things? Mike: I heard that story – but religion is as free as can be here. No one is killed for being Muslim or Christian, except maybe in the far north of the country, but even that I have not actually heard any stories of it happening. Pat: Here in South Sudan most people are Christian. The fighting between Muslim and Christians is what led to the creation of South Sudan. So here you do not hear of the persecution of Christians very often if ever. I heard about this as well and it is such a sad story but is the only case of this I have heard during my time here in South Sudan. Do you think American media portrays the situation in Sudan differently than the experience you’re having? Mike: Hah! Yes. Media only shows extremes, good or bad--usually the bad, though. Sudan and South Sudan surely have big time problems that should not be overlooked – but we hear only about the Sandy Hooke shooting and not about the day-to-day normal runnings and life-giving and good events occurring in thousands of other schools across the country. We hear about LeBron cramping up in the NBA Finals game, but probably not about some kids who were given court-side tickets to watch their first NBA game. You see, media tells us what makes a headline, what draws attention, and not what life is about. Life is life, and suffering occurs in America just as it does here. It is very necessary to be aware of it, but not if we then overlook our own lives. Don’t worry so much about LeBron cramping; he has trainers galore to help him recover. Worry about your family and friends, and worry about the difference you can make in your community. Here is South Sudan I am not doing anything extraordinary, but I am attempting to love these people in the ordinary day-to-day, which is really the same today as it was when the fighting started – people lack things of necessity like clean water and daily food. We stopped helping Haiti for the most part once we stopped hearing about it in the news; Haitians are still really struggling and were struggling prior to the devastation of the hurricane. American media lets us feel good for helping with big problems when we hear about them, but our neighbor needs our help every day. I didn’t come to South Sudan when the fighting started, and I didn’t leave once it started; I came to be with these people in their day-to-day, and that is during extremes and through normality. Pat: I think it is definitely blown out of proportion in the international media. Don't get me wrong, South Sudan has experience many problems including the recent conflict and the struggles that have stemmed from it. But, I think the news makes people think that you cannot go anywhere in South Sudan without running into armed rebels, but that is not the case. Most areas of South Sudan are currently peaceful. What is a common misconception about South Sudan that people often have? Mike: I might be taken prisoner tomorrow by rebels. I even thought that when the fighting first happened. Not even close to being true. It might still be rudimentary here, but first world countries have enough of their foot in the door of South Sudan that, unlike in the 1980s, 'Mike the Kahwyja' is as safe in South Sudan as a squirrel in Central Park. Pat: I think most people do not even know it is a country. You say South Sudan and they only hear Sudan and they think fighting and war. But there is much more to these people. There is a lot of good here and there is not just fighting and poverty. Have you ever had a “this is my home” feeling? Mike: Yeah, since about mid-December. The fighting made me feel more at home, more one with the people. When in January they told us we were headed to Kenya for safekeeping, I didn’t want to go because I knew I was supposed to remain in my home, South Sudan. To this day I am so used to this place and the life that it is home. Pat: Its crazy to think about but yes I have. I think I really realized it when during January when Mike and I were sent to Kenya while the situation was worsening in South Sudan. During that time we just wanted to go back to Juba and be with the community and people there. We missed Gumbo so much. That was when it first hit me that Gumbo has become my home in a lot of ways. Do you ever feel like you really belong there? Mike: Apart from it being home and feeling like home, I still feel majorly like an outsider. If I knew fluent Arabic, maybe that would be a bit different, but it is still hard to overcome my white skin. No one is “racist” per se, but there is definitely the constant reminders that I am white and that has many connotations, I imagine, often not very different from the ones African-Americans might have of White Americans. But, knowing I cannot walk through Gumbo without every person looking at me makes me highly aware that I am an outsider and don’t really belong. The only place I feel that sense of belonging is within our compound, but here I also feel trapped. Pat: Its funny that this comes after the question about it feeling like home because it does feel like home but I cannot say that it feels like I belong. After almost 10 months of living here I still can't walk outside and not be stared at by everyone. I feel at home here most of the time and I know that I am supposed to be here during this time to serve and give of myself to this mission and the church but I don’t know that I "belong" here. Do you What is the most interesting or surprising thing you’ve observed or been a part of? Mike: When we had many Nuer people from the local area who were afraid of being killed for their ethnicity come to our place after the initial fighting to stay for some time, I felt like I was part of the underground railroad or something, hiding people on the move. It was really something you see in movies but never think you will be part of. Late at night we moved them from the school to the Church where we thought they would be safer, posting guards around the outside… and then the fear in my heart going back in the dark to my room some ways away, imagining the sound of gunshots as Dinka’s came and slaughtered those people we had left in the Church. That is honestly something I will never forget and neither “interesting” nor “surprising” really do justice to describe how it felt to be part of it. Pat: How much western culture has affected the youth of South Sudan--in good and in bad ways. Are there any political or social issues you feel passionate about? Mike: I am very passionate about changing hearts to love and not be revengeful, hopefully causing an end to tribalism. That is, in my opinion, the biggest social issue in this country and it needs to be solved or more people will just continue to die for it during small conflicts. Pat: As for as in South Sudan I just feel passionately that the people here need to let go of tribalism and come together as a nation. Many of South Sudan's leaders call themselves Christians yet are fueled by hatred and selfishness. I hope and pray that they will one day learn to love and put the people of this country before themselves. What are your hopes for the people you’ve interacted with? Mike: That they have seen my love for them and care for them and recognize Christ through it. That I can leave here and the people will desire a better life for themselves and their country and achieve it through hard work and perseverance, along with constant growth in their faith. Pat: I hope they stay close to Christ and live their lives to serve and love others before all else. Mike: God blessed me with a beautiful journey this year. I learned way more than I would have just working a normal job, and I wouldn’t trade it for the world. It was definitely not what I expected, but it just reconfirmed to me that we shouldn’t have expectations because we will just get let down – we should just do everything with the desire to be the best we can be in and through it. Pat: No, I think that covers it, thank you for the opportunity to share some of my experiences. God bless! BANGALORE, India -- I had the pleasure of working alongside, humanitarian photographer Matthew Pirrall, in India for a few weeks. While I was stationed in Davangere at a child labor rehabilitation center through Bangalore Rural Education and Development Society (BREADS), Matt’s job involved traveling around southern India to various BREADS locations to work as a humanitarian filmmaker and photographer. When he wasn’t at the Davangere site the boys and girls would constantly ask, “Where is Matt brother”? and “When is Matt brother coming back”? When he returned to the site, the kids would rush to the jeep to help Matt unpack his things, and never wanted to leave his side, instead smothering him in hugs, showing off their dance moves, or asking him for help with English. Clearly the children in India loved Matt. Read on to hear how much Matt loves working in India. Matt recently won the International Award for the See|Me Group's 2014 Exposure Competition. To see his work, check out his YouTube BREADS Bangalore Channel. ‪I'm working as a photographer and videographer for the Bangalore Rural Education and Development Society, BREADS for short. They work mainly with youth; developing programs on child rights for school children, rescuing child laborers and street children, and building shelter homes and rehabilitation centers for them. I travel around to their various centers and take videos and photography for them to use on their website and in the various publications they put out to raise awareness. I'm also helping them with grassroots marketing, and consulting on fundraising and awareness campaigns. I went to DeSales University in Center Valley, PA where I studied TV/Film and Marketing. I actually went on two summer service trips in college, both of which were to Kolkata, India, so my journey in India actually began at DeSales. I developed the idea to do something along the same lines post-grad, but I wanted to be able to use my skills as a filmmaker and photographer to help out the organization I would be volunteering with. Luckily when I found the Salesian Lay Missioner program they were very open to finding me a placement where I would be able to do that, and it also happened to be in India. India has a way of calling you back. India became the obvious choice since I had been here before and how well everything worked out with finding placement. Plus, the diversity of this country and its people also make it a goldmine for a photographer. Basically, any professional photographer who uses their skills primarily for humanitarian purposes. It can be to raise awareness of a need on their own, or photograph campaigns for non-profits. ‪Has there been a defining moment in your life that made you decide to take the direction you did towards humanitarian photography? ‪‬I want to say that this year has been it. I considered myself more of a filmmaker coming out of college, and I had very little experience in photography. I still am a filmmaker. I love the freedom that film gives you to tell a story. I love helping the pieces of a story fall into place, and the humanitarian world is full of stories, incredible stories, and the amazing thing is that they're all real stories of real people. You just need to find all the pieces. Photography adds a new challenge because you have to find and tell a story using a single frame. It's in challenging myself in this way that I've developed a love for photography as well. Have you ever run into dodgy situations while on assignment? I think the most unsafe I've felt is when I went to a brick-field to film and photograph the children working there. The families that live and work there were very welcoming, but the owners know that NGOs come to rescue these kids. They are afraid of the media and the prospect of losing the kids who are paid less (if anything) and work faster than the adults because of their small hands. While I was shooting the social workers I was with stared getting a lot of questions from the owners, and then the owners started yelling at the workers to hide their children. I think the social workers were afraid the owners might get violent so we left quickly, but not before I managed to get some pretty powerful shots. How do you approach shooting in sensitive situations? There isn't really a way for me to blend in or really know what's going on as I don't speak the language, so I just have to trust that the guides I'm with know what they're doing and know when things might get out of control. I try to approach everyone I meet while shooting with a smile and express a friendliness that usually goes a long way toward getting people's guard down. For the most part people here are very open with me, and I don't find myself struggling to get a shot very often. What is the most rewarding part about living there? Definitely the people. When I visit a child labor rehab center everyone is always so welcoming and generous with me. The children always want their photo and usually the adults do to, and my camera has been a great way for me to break down the language barrier and really get to know the people wherever I go. It's always tough to move on to the next center because the people at each one, especially the kids, embrace you like a family member. Can you tell me someone in India who has impacted you? ‪‬There are a lot of people that have impacted me while I've been here: the kids, their teachers, and the social workers with whom I work. But I think the people that have the greatest impact are the people around my age who grew up in BREADS centers. Kids who were abandoned my their parents, or ran away from abusive situations at ages as young as four or five years old. They had traumatic life experiences at such young ages that are difficult for me to even comprehend, but they have grown into successful and well-balanced adults with BREADS support. It really drives home for me the power of education and how much difference a loving environment can make in a person's life. ‪Do you find that women are treated differently than men in India? ‪‬Yes it's very ingrained in the culture. I often find myself noting situations where I'm with a female colleague or friend who is ordering something searching for something in a store, but the worker will address me instead. Even if the worker is a woman. There are other situations too, where I've noted women's opinions are less valued. It starts from a young age and girls are brought up to believe they can only fill certain roles. They don't have good role models in the media either. In most of the movies I've seen, it's the female lead's job to cry and be a burden on the man, and to fall in love with him in the end no matter how terrible he is to her. There are exceptions of course. I've met more strong, empowered Indian women than I thought I would from all the bad things that you hear. But there definitely needs to be more education about women's rights at a younger age if things are going to change. It's another area where I think BREADS is doing a good job. ‪What do you think is the key to ending slavery worldwide? It's a lack of education that leads people into slavery, plain and simple. I believe education is the single most important tool to combat the lies that lead to modern day slavery. Only when children and their parents can be taught that there is another way, when people around the world can be shown that these horrors exist, and when individuals can be motivated to take a stand to do something about it; only then can organizations like BREADS have the power to stand against the lies with a message of truth. That's what I hope to do with my photography and videos here. Raise the awareness that this organization needs to combat these lies. Who has had the biggest impact on you as a photographer videographer? Where do you find inspiration for your photos and videos? My parents have had a huge impact on me as a person. I feel truly blessed to have such amazing parents when so many of the children who I work with don't have any. In terms of professional impact there are a number of photographers from whom I draw inspiration. I have improved a lot this year just by pushing myself to emulate their work. I also draw inspiration from the people whom I am photographing. I love catching people during their day to day activities, just talking and interacting with them, before asking for their portrait. I find a lot of inspiration in the moments when people let their guard down and stop seeing my camera. The way that I've been embraced by my community here has been truly heartwarming. I really feel like my co-workers at BREADS and the community I'm living in has become a second family that really cares about my well being and I can't imagine myself having spent this year anywhere else. I've grown so much and met so me amazing people who I am sure will be lifelong friends. My hope is that the photos and videos that I've taken will be able to help more of these children and communities get the education that they deserve. I plan to pursue photography and film making with a special focus on humanitarian work. Down the road I'd love to have my own production company to continue to tell stories that will make an impact on people's lives. MONTERO, Bolivia -- Antoinette Moncrieff, a spitfire of a girl from Michigan, works in an orphanage, or Hogar, in Bolivia with another American volunteer, Natalie Baker. Antoinette was drawn to work in Bolivia because of the opportunity to work in an orphanage and the tropical location. As the oldest of four children and a second mom to the youngest siblings, kids have surrounded her all her life. She has been a nanny, baby-sitter, teacher’s aide, and has worked at a daycare and summer camp with homeless children. ‪My first eight months here, I worked in Santa Maria with the 0 – 5 year olds. I did homework with the kindergarteners, occasionally did activities with them, changed their diapers, bathed them, fed them, played with them, and disciplined them. Now I help Hermana Paulita in the infirmary. I´m in charge of meds for both buildings, three times a day. I also file, take children to appointments, and take children to the doctor. Additionally, I sometimes take care of cuts and scrapes, burns, etc. and keep a note of who has what so that when Hermana Paulita comes in for the day she can have a look at them. Honestly, that´s hard to say! Every day here is so different! Even in the nine months I've been here, my job responsibilities have switched around according to the need of the moment. 6:00 am – I am officially out of bed and go get the breakfast meds ready. 6:30 am – Breakfast bell, pray Hail Mary with the girls before entering, pass out food to our tables (we each have a table, mine is mainly full of middle school age girls) and I hand out meds to the girls. 7:15 am – The girls who go to school at Maria Auxiliadora, which is across town, leave on our microbus with Don Pancho, our handyman and driver. I am usually still chasing down girls who weren´t at breakfast to hand them out meds. The other girls who go to the public school next door leave on foot. 8:00 am – I hand out meds to Santa Maria, our 0 – 5 year olds, while they eat their breakfast. The school age girls do their homework in preparation for the afternoon session. 8:30 am– It really depends on the day. Sometimes I do paperwork; filing girls´ medical records, keeping track of their meds, etc. Sometimes I need to take care of boo-boos, take girls to appointments, or make unplanned trips to the doctor with sick children. 12:15 pm – I hand out lunch-time meds to Santa Maria. 13:00 pm – Lunch bell. Sometimes Madre Rosario, our director, gives the girls a talk while they wait in line. I dish out food for my table and then hand out lunch meds to the girls in the dining room. 14:00 pm – Afternoon session has started. The girls who go to school in the mornings do their homework in preparation for the next day. Santa Maria is either napping or at kindergarten depending on their ages. My routine is then much like the morning. 18:00 pm – Dinnertime meds with Santa Maria. 18:30 pm – Dinner bell. I dish out food to my table and pass out the dinner-time meds. 19:00 – Officially I don´t have anything going on. But this is relative. Often Natalie and I will have a cup of tea in the volunteer kitchen. Sometimes I get sucked in to taking care of someone´s boo-boos, which usually means that I end up taking care of ten people because if the girls get wind of the fact that I´m taking care of one person, they´ll all want me to take care of them. Sometimes I read or hang out in the library with Natalie and the homework girls. 22:00 pm – A rough bedtime estimate. Honestly, it´s difficult. Because there is no physical separation of work and home, and there are children around constantly, it is hard to keep a proper balance. The nature of your responsibilities also makes this difficult as well. I've found that it´s very important to take a bit of time out for yourself, indeed a necessity… Reading, journaling, art, taking a walk, taking naps, etc. have all helped me. When you´re feeling especially burnt out, taking a few days off is important too. A typical day for me starts with morning mass at 6:45. Many of the students attend this mass as well. After mass I take attendance for the Daughters of Mary which is a Catholic group for young women dedicated to living more like Mary and growing in our faith as Christians. After that we have a quick breakfast and morning assembly. Monday, Wednesday and Friday I go with a VSDB sister to a village school that we are in charge of running and organizing. We conduct assembly there, teach various subjects, get uniforms and other necessary things in order to get the new school on its feet. Those afternoons I teach art and religion at our base school. Tuesday and Thursday I start my day in the secondary school then teach the 5 aspirants we have English and Group Dynamics. The rest of the afternoon after lunch is spent in either art or religion and just being present in the school to assist with conflicts or difficulties that arise. Most afternoons I help a few students practice reading with small books we have here. ‪‬ I've wanted to do mission work since I was knee-high to a duck. I've always been interested in foreign countries and cultures, as well as poverty, human rights and social justice issues. In college I sat through class and when I wasn't doodling or wishing I was doing something else with my life, I began to be aware of a desire deep inside to go to a foreign country and love the little children who had no one to love them. It came to a head one fall day when I was supposed to be grocery shopping before work. Instead, I found myself walking through the woods in the park yelling at God. “What do you want me to do?” I demanded of him. ‪‬I think, coming from a first-world country that places a great deal of importance on child safety and development, as well as continuing education, I took it for granted that those I worked with would be of the same mindset. I found that this is not necessarily the case. Once a week, Natalie and I get to eat lunch with the nuns who run our orphanage at their convent. We also take part in the different celebrations at the Hogar. Bolivia has so many celebrations. Often we join the other staff members in putting on a dance. We've also put on Dia de La Bruja (Halloween), Christmas, Easter, and Mother´s Day celebrations. The staff take turns putting on one major celebration every year; this year our turn was Mother´s Day. Food has been interesting. The government only gives eight bolivianos a day (less then $1.50 U.S.) to the Hogar for each child for ALL of her needs. (By the way, this is the same amount that the prisons get.) Food is often very limited and almost always unappetizing. When there´s food we eat and when there´s not we don´t. While there´s always something to eat, there´s usually not enough and what there isn't very nutritious. ‪Knowing that you´re making a difference in the lives of the kids. Seeing the small changes in them, as they grow, heal and learn is priceless. I've had the opportunity to build positive relationships with many of the children over the nine and a half months I´ve been here. Every once in a while it blows my mind that I can positively interact with a kid I never thought I would. ‪ ‬‪ ‬‬‬‬ ‪‬What is your best memory so far? What is the most heartwarming experience you’ve had and the most heartbreaking? ‪I've had a lot of heartwarming experiences and a lot of heartbreaking ones. Hearing Leidy tell me she wanted to die, the kids not having enough food, having Etcel spill into my lap crying telling me her dad told her she has to stay here always, holding screaming Nataly during her transition into Santa Maria, the day Deimar's adoptive family returned him and seeing how changed he was as a result… those are some of the heartbreaking ones. Getting peppered in hugs and kisses by Santa Maria, watching Paz turn from a smelly scabies-infested street animal into a loving pregnant kitty, watching Silvana go from a depressed and sick little girl to a smiling joyful girl who can use a pencil and count to ten consecutively, getting a picture from Emily on a really rough day, getting called “Mama,” how excited Francisca was about reading “Bread and Jam for Frances”, Belen's cute secret hand waves as she walks down the hallway. Those are definitely the heartwarming ones and they make it all worth it. ‪Can you tell me about one child that you feel you’ve impacted or about one child who has impacted you? I think Silvana was the guiding thread through my first several months of being here at the Hogar. When I first came here she was eight years old but living with the 0 -5 year olds in Santa Maria. She was very sad, withdrawn, depressed and sick. In my first few days of working in Santa Maria, I got Silvana to smile. Gradually she came out of her shell. In January she started kindergarten. She had difficulty doing simple pencil tracing exercises and the concept of colors was completely lost on her. I talked to our psychologist and social worker and learned that Silvana grew up in the country wandering the streets with her schizophrenic mother. When she first came to the Hogar, Silvana could not use the bathroom by herself. She just sat and did not interact with anyone. In the year-to-year and a half since then, Silvana has come such a long way. The psychologist felt that Silvana was capable of learning but because of poor nutrition she would come about it in her own timetable and not when we expected her to. He thought being in Santa Maria was the best medicine for her because the children would talk to her; she would learn from her peers. I kept working with Silvana. Slowly but surely she got the hang of using a pencil. She was able to do all of her homework, even making letters of the alphabet. She even named a color once without my asking her to. She needed constant affirmation but was very pleased with herself as she made progress. I remember the day she counted her numbers and actually started with one instead of two. I was so excited! She is such a different little girl then she was nine and a half months ago. She laughs and talks with the other kids, smiles and climbs all over the playground. I am so happy she's come so far. ‪‬‬I've learned how strong I really am. I´ve learned a number of different nursing skills and life skills that I definitely didn't know when I came down here. I also learned that I can go months on end without seeing my boyfriend and have our relationship come out stronger for it. Yes and no. We don´t have the same gender inequalities and difficulties that many other third-world countries do, but men and women have very different roles in Bolivia. There are a lot more clear distinctions between what men and women do then there are back home. If a little boy wants to play with a doll, they are very adamant that “that's women's stuff” and scold him. Traditionally anything to do with tools, appliances, building, etc. falls under the male's role. I don't really agree with it. ‪‬‬Poverty and a lack of education. Poverty and ignorance breed each other. Knowledge of child development is often nonexistent. Knowledge that we often take for granted in the United States is not common knowledge here. People have hugely unrealistic developmental expectations of children and thinking outside the box or innovatively or in a problem-solving way is not really done here. In my particular neighborhood, families are very broken. Many parents are not married. It is not unusual for a father or mother to go off to another country and leave the rest of the family. People tend to have the attitude that orphanages can raise their children; sort of like free daycare until the child is old enough to be useful to the family. Once one of our English volunteers was approached by a single mother who looked to be fairly well-off. She wanted to know if the Hogar could take her children. Do you ever feel like you really belong in Bolivia at the Hogar? ‪‬‬Yes and no. I think the very nature of the Hogar makes it feel difficult to feel fully part of what´s going on. But I feel like I belong in the sense that I am where I am supposed to be, and I've become part of life here and part of the girls´ lives as well, even for the short time I´m here. What is the most interesting or surprising thing you’ve observed or been a part of? Being a part of the outdoor Stations of the Cross that happen in the streets of Montero during Lent has definitely been one of the most interesting things I´ve been part of. I hope each one of my children goes on to lead a long, happy, and productive life. I hope they make a better life for themselves then the life they were born into, make positive choices and that they find love and healing. I wish I was around to see the kind of people they grow up to be. What are your plans once you’ve finished at your site? I'm going to return to Ypsilanti, Michigan. I've got a job waiting for me at home, working with 5-10 year olds as an after-school program leader. I´m also hoping to train as a volunteer Doula working with mothers who have just given birth. What do you plan to have accomplished in five, 10, 20, and 50-years personally and professionally? I don't have a time limit for anything. Life takes many strange twists and turns and it's silly to put a time frame on things. I can tell you what I would like to have happen, though. I would like to become a midwife and herbalist. I would like to get married and have a ton of kids, do foster care and adopt. I would like to be an urban farmer and continue drawing, taking photos, writing, dancing, painting, and non-conventional learning. I'm hoping to spend my life invested in the lives of my family members, friends, and the community around me. And I hope to continue doing mission work in the future. 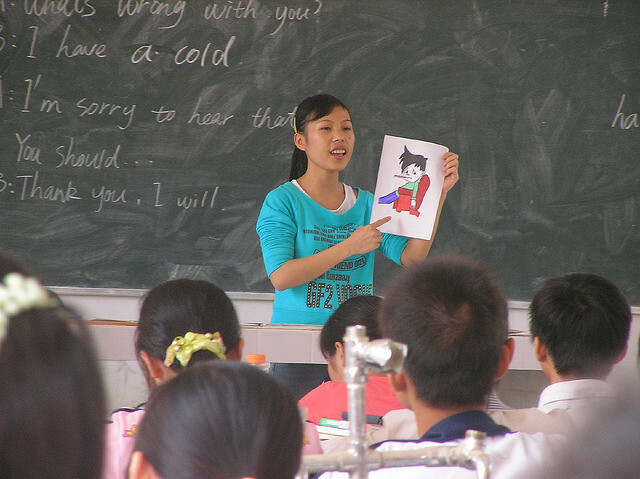 If you've ever thought about doing overseas mission or volunteer work… seriously. DO IT! It's so worth it in the end. You will be so much better for it, and you will have made a positive impact on someone else's life. SEATTLE, Washington -- Coffee powerhouse Starbucks is setting a new bar for employee benefits. Yesterday, 16 June 2014, Starbucks announced that they will partner with Arizona State University online to provide four-year bachelor's degrees to employees for only $13,500. According to CEO Howard Schultz, the initiative will allow baristas to continue their studies while attracting high-caliber employees. Students will pick their own major, and class schedules are flexible. Also noteworthy, those who take advantage of the program can leave the company at any time. The joint venture will make a four-year degree affordable for many working Americans. And likely, Arizona State University will benefit by enrolling a record number of students into their online program. Generally, a year of studies at ASU online would run $10,000. During the first two years, students who work 20 hours or more at Starbucks are eligible to pay just $6,750 a year. Coursework during junior and senior years will cost them nothing. For those employees looking to earn their undergraduate degree, this idea will be life-changing. But can these efforts be profitable for the Starbucks chain in terms of dollars and cents? Schultz believes so. And there is considerable data to back up his wager. Many of the world's largest and most profitable corporations are prioritizing the health and wellness of their employees by increasing opportunities from the bottom-up. Through mindfulness and meditation strategies, companies such as Google and Microsoft are bringing age-old Eastern wisdom to the Western workplace. As a worldwide leader in information technology, Google is always pushing the envelope of possibility. It is no surprise, then, that Chade-Meng Tan has made a name for himself as a member of the San Francisco based company. Tan is the "Jolly Good Fellow" at Google, a self-help coach who combines mental health, meditation and productivity training together, in order to optimize happiness and creativity in the corporate office. Software giant Microsoft is further evidence that putting mindfulness experts on the payroll can be beneficial for individuals and the bottom-line alike. The payoff for Microsoft is crystal clear. CareerBliss has ranked Microsoft employees as the 9th happiest in the United States. According to the website, Microsoft workers' fulfillment derives from an office culture that "is motivated to push boundaries." The mindfulness movement is continuing to gain ground inside a host of powerful corporations. Increased educational opportunities and mental health resources are slowly becoming the inclination of top companies, and as a result these businesses will draw top talent. Talent that is spiritually centered, mentally balanced, and mindful of their potential within their organization. Happiness outside the office will improve the bottom line for corporations, increasing the feeling of investment for employees who may not otherwise be compensated monetarily. ASIA - Tens of millions of Indian children under the age of 14 are working instead of going to school. It is estimated that 12.6 million children in India are involved in hazardous work such as coal mining, firework manufacturing, and the diamond and silk industries. With the health hazards and physical danger the United Nations Children’s Fund (UNICEF) said these jobs are unsuitable for anyone under 18. In the Bangalore region of India the Bangalore Rural Educational and Development Society (BREADS) is working to remedy the staggering amount of child laborers. BREADS is taking the next step to helping former child laborers and rescued runaways have their childhoods back, with projects such as a Child Help Line, rescue centers in railroad stations, and more than a dozen schools in the area to rehabilitate street children before they are sent to the public school system. They have also established industrial and vocational training centers, orphanages, and shelters to assist people in all walks of life. These children have resumes longer than most adults—construction worker, servant, brick maker, garment tailor, trash collector, factory worker—the list goes on and on. Their pasts are marked with abuse, addiction, slavery, and abandonment. They are forced into working by their families or for survival after they have been orphaned or abandoned. Shivu, a boy at a BREADS rehabilitation center in Davangere, was abandoned by his parents at a train station when he was 4. He was taken from the train station by a couple who forced him into domestic labor, not allowing him to go to school. His arm was tattooed with the couple’s address so he could be returned in the event he escaped. After a particularly gruesome night of physical abuse he managed to escape, and with the help of an elderly man, was brought to a BREADS center, where he is now going to school for the first time in his 13 years. Young girls in the Bangalore area are especially in need of the protection offered by BREADS. Thousands of girls in this area alone are prone to abuse, exploitation, trafficking, child marriage, and temple prostitution, and educating girls is oftentimes given lower priority. Providing assistance to these girls not only removes them from the viscous cycle, it changes the community and helps contribute to a child labor free society in the villages in the Bangalore area. Matt Pirrall, a humanitarian photographer currently working for BREADS said "Education is the single most important tool to combat the lies that lead to modern day slavery. I can only hope for greater awareness of their plight, to one day bring them the justice that they deserve. With the help of BREADS and the power of education, these children are now happy, healthy, and eager to learn. It is incredible to see the transformation that had taken place in their lives. " This past year, Germany has stepped in to lend support to these children through BREADS. During German President Joachim Gauck’s visit to India, his wife, Daniela Schadt visited BOSCO Mane school in Bangalore to interact with rescued runaways and met with Railway officials and members of the rescue team. In April the German Foreign Ministry’s Director General for Asian and Pacific Affairs, Ambassador Peter Prugel, met with staff of BREADS to review child safety net strategies and to get informed with the harsh realities of life on the street. BREADS is also supported by partners in the Netherlands, Italy, Belgium, and the United States. At the BREADS rehabilitation centers, little hands once sore from days full of housework now lovingly hold the hands of new brothers and sisters. Little feet once raw from working in the fields barefooted now race from class to class. Little bellies all too familiar with going without food are now filled with unending laughter. These children are given more than just food, shelter, and an education—they’re given safety, security, and the keys to a renewed childhood and a new life.